When I heard the eponymous debut album of the Italian band Aurora Lunare on the internet, I realised I had to get hold of this release. What they displayed on Aurora Lunare really gave a punch in the face. It was so good, I just had to promote their album, however, what I didn't realise at the time, was that they were no rookies in the progressive rock genre. No way! The band already started in 1978 and at the time, they played covers of other Italian and British progressive rock acts that were big in those days. I'm referring to bands like E.L.P, Yes, Banco Del Mutuo Soccorso, Premiata Forneria Marconi, Le Orme and Area. Strangely enough, they actually never had the chance to record their self-written compositions properly. Therefore looking back, it certainly is quite strange now to see they released their first official album, three decades later after the band was formed. So, after a break up and the collaboration on several tribute albums, they can finally show the outside world what they are capable of. The album is almost one hour long, and full of the finest progressive rock music available. Some of the nine tracks had already been composed in the seventies, and others were written when they came back together as a band. This way the album sometimes has a retro feeling (first part of the album), and at other times you realise they certainly know what kind of music is made nowadays (second part of the album), however, one thing can be heard throughout the entire album: the amazing musicianship of the people who made it possible to come up with such excellent songs. Most of all the keyboard parts are really superb, and move towards the talents of people such as Keith Emerson, Tony Banks and Rick Wakeman. Just listen to the track Eroi Invincibili... Son Solo I Pensieri, and you will be as much impressed as I was. When you have two fantastic keyboard players in your band like Mauro Pini and Stefano Onorati, I guess it's not really a surprise the songs keyboard orientated are most of the time, but don't think the guitars are playing in their shadow. That's certainly not the case, because the aforementioned Stefano Onorati, and several guests, truly know how to hit the guitar parts the right way. Vocal wise, the band also knows they did a great job on this album. Like I mentioned before, Mauro Pini and La Maschera di Cera's Alessandro Corvaglia bring along the warm passionate Italian vocals on several tracks. I shouldn't forget mentioning the rhythm section, because they did an outstanding job too, therefore 'thumbs up' for Luciano Tonetti for playing the bass guitar and Marco Santinelli for playing the drums in a perfect way! 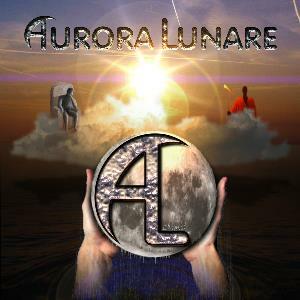 I guess it's not a surprise that the music on Aurora Lunare can be compared with the names I mentioned earlier. Even more when you include a cover version of Le Orme's All'infuori Del Tempo/ Ritorno Al Nulla - taken from their album Felona E Sorona (1973) - at the end of the album. When you then go on to ask former Le Orme guitarist Tolo Marton to play on the song as well, you can't say it was all just a coincidence! The version by Aurora Lunare certainly differs somewhat from to the original version; it has become a duet, with the vocal duties done by Mauro Pini and Greta Merli. The last part of the track has a strong instrumental part with a battle between the guitar and the synthesizer, which really sounds awesome! Maybe it sounds a little stupid to tell the band not to wait another thirty years to come up with a second album, because some of the current members probably have died in the meantime or moved to an elderly home, walking behind a walker. What I'm trying to tell them is, to carry on making such strong music, even if has elements taken from bands like E.L.P, Yes, Banco Del Mutuo Soccorso, Premiata Forneria Marconi, Le Orme and Area. Releasing a successor in one or two years time would be excellent. In the meantime I will play this superb album every now and then!